This example illustrates the use of ODS graphics. 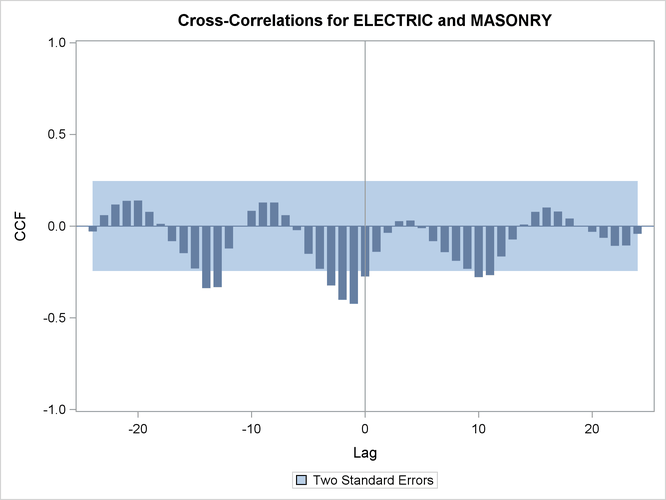 The following statements use the SASHELP.WORKERS data set to study the time series of electrical workers and its interaction with the simply differenced series of masonry workers. 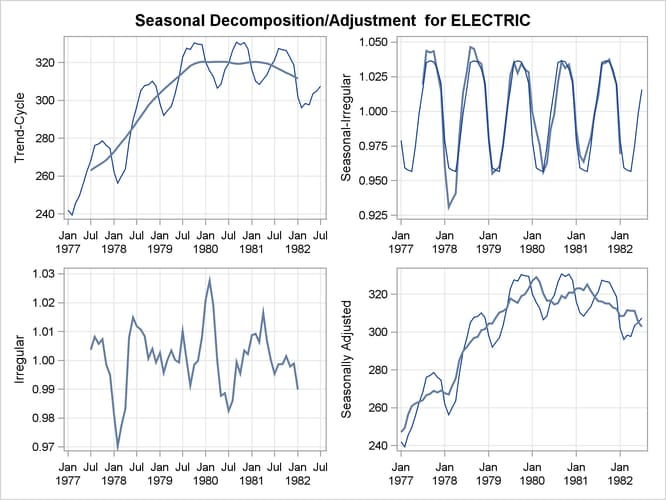 The series plot, the correlation panel, the seasonal adjustment panel, and all cross-series plots are requested. Output 32.3.1 through Output 32.3.4 show a selection of the plots created. 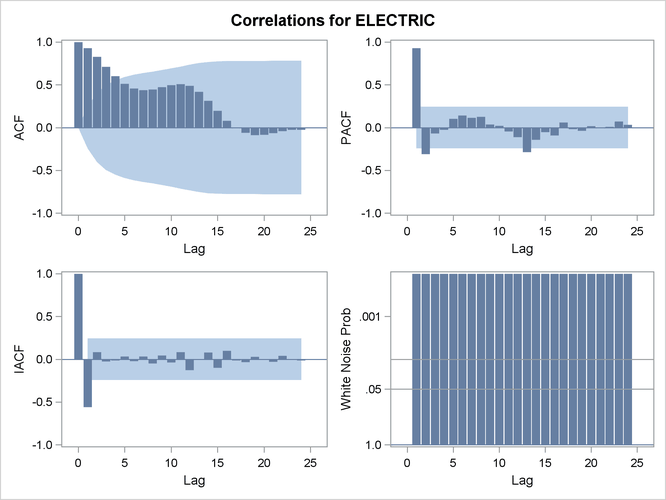 The graphical displays are requested by specifying the PLOTS= or CROSSPLOTS= options in the PROC TIMESERIES statement. 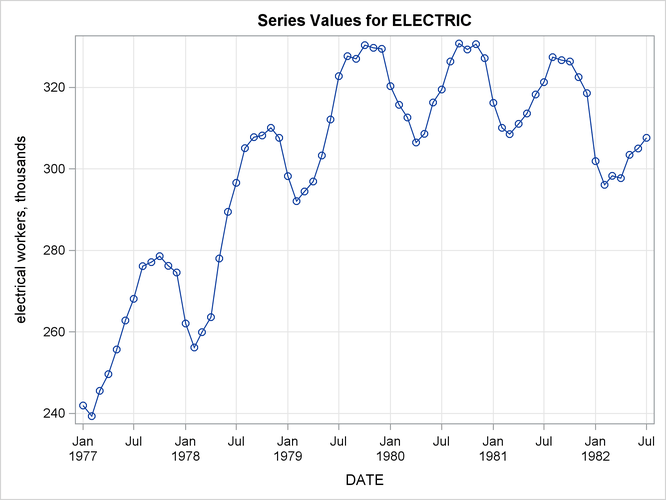 For information about the graphics available in the TIMESERIES procedure, see the section ODS Graphics Names.